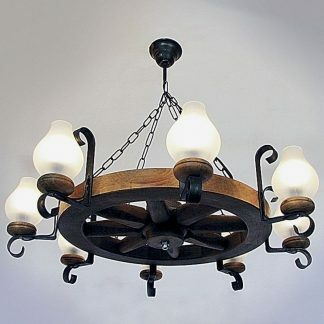 QUEEN is a rustic solid wood chandelier with brown finish and four patina wrought iron arms. 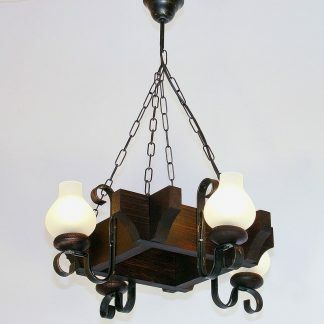 Available also natural wood, antique wood or walnut finishes. 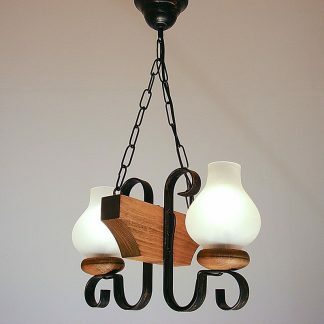 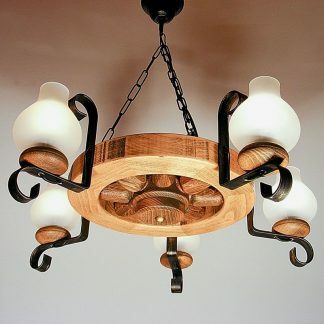 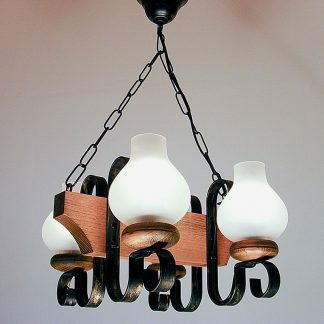 As all handmade products, these light fixture may present slight differences in finishing. 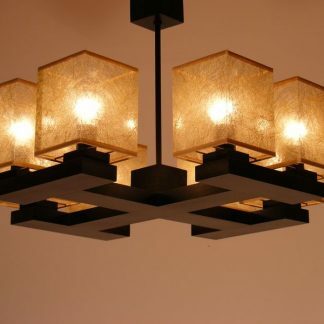 4 X max 40W, E14 socket.